A favorite in over 50 international film festivals, including New Directors/New Films and Rotterdam, Araby is an epistolary ode to labor, love, and storytelling. 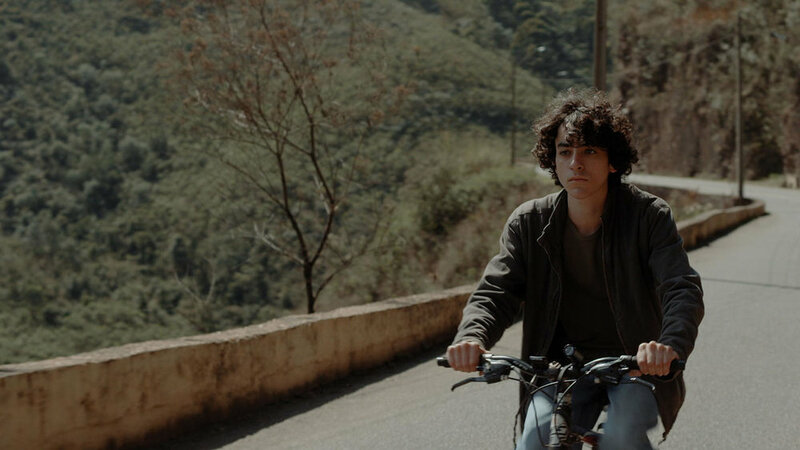 Winner of numerous awards—including the Cinema Tropical Award for best Latin American film of the year—Araby is a stirring glimpse into the exciting revitalized cinema from Brazil. Andre, a teenager, lives in an industrial town in the southern state of Minas Gerais, Brazil, near an old aluminum factory. One day, a factory worker, Cristiano, suffers an accident. Asked to go to Cristiano’s house to pick up clothes and documents, Andre stumbles on a notebook, and it’s here that Araby begins — or, rather, transforms. As Andre reads from the journal entries, we are plunged into Cristiano’s life, into stories of his wanderings, adventures, and loves. Beautifully written and filmed, Araby is a fable-like and lyrical road movie about a young man who sets off on a ten-year journey in search of a better life. "An instant classic. Marked by boundless humanism."